Our mountain-fresh design is hand screen printed onto charcoal grey super soft American Apparel Tri-Blend Track tees (our favorites!) in both Men’s & Women’s sizes, these t-shirts go perfectly hand-in-hand with the gorgeous new cover of The Spinto Band’s forthcoming new album Cool Cocoon (available February 5th in the US). 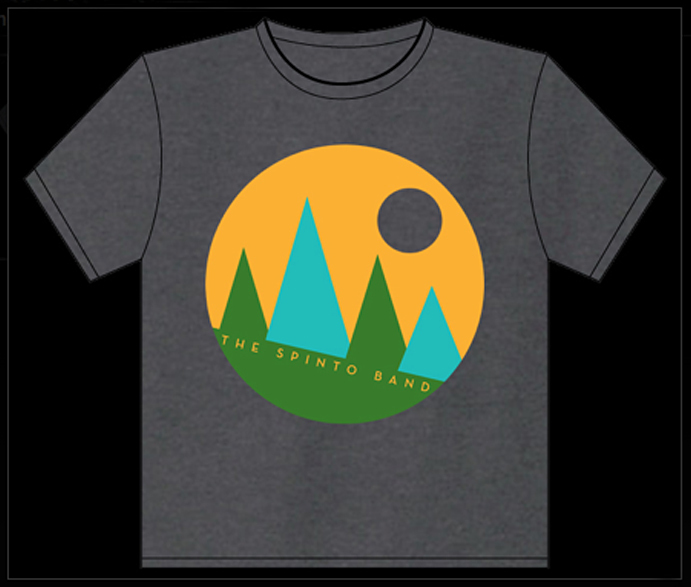 These shirts are available exclusively at The Spinto Band‘s website and from the band directly as a part of their special pre-order sale. There’s a t-shirt in every for pre-order option too, so there’s a bundle for everyone. There’s even a free song download too! 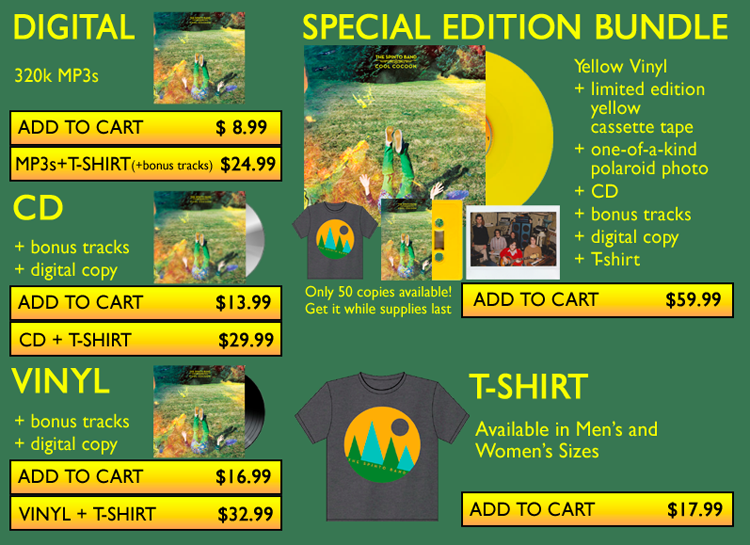 Check out all of the pre-order sale bundles below or visit The Spinto Band here.